AVAILABLE FOR SAN FRANCISCO BAY AREA ONLY!!! Proof of enrollment in a training program will be required! Louis is a rescue from Jeju Island, South Korea and is only available for adoption in the Bay Area or Northern California. We will consider exceptional applicants further away if you can arrange for your own transportation into SF. 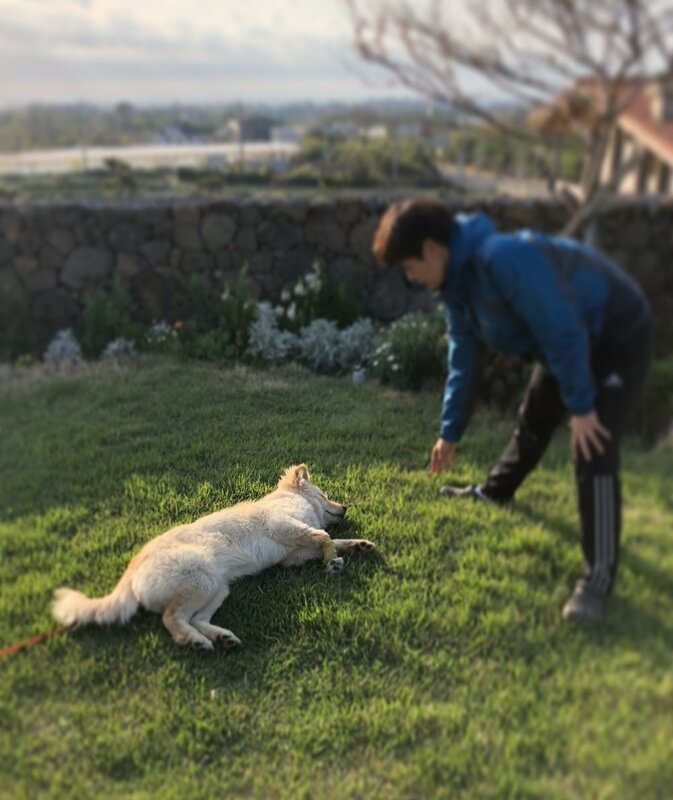 Adoption donation is a minimum of $525 for dogs from Jeju Island. Louis was found with a fish line around his right limb that was probably tied when he was much smaller. The string cut into his flesh, almost near the bone. The artery was even cut and bonded by itself later. 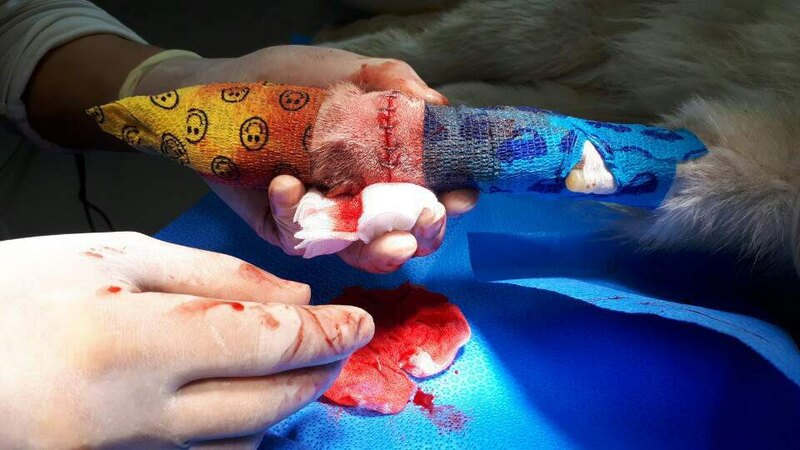 The owner knew about it, but didn’t care whether Louis would lose his right limb or not. Even when we came to rescue him, the owner did not even want to visit us and she just let us take the dog. He is very shy at first, but once you hang around with him for a while, he becomes a very friendly and playful dog. He loves to lounge on the grass and is a very relaxed, quiet dog. He is friendly to all people. However, if little kids come and bother him, he would be nervous and walk away. He is also slightly scared of elderly women, like over 70+ years old. He gets along with all dogs, regardless of their sizes, as long as the other dog does not shows him aggression first. Comments: Louis is shy. Louis has not been tested with Children under the age of 10 and has not been tested with cats. Gets nervous a little and scared of kids at first. Louis is ok with meeting other dogs unless the other dogs are unfriendly then Louis will with counter react. He has slight resource guarding (growling) when it comes to food with other dogs but not with humans. Tested on walks with cats but not indoors- Louis ignores cats when he sees them on walks. Comments: Tendency to escape is a common Jindo trait. Yard must be fully enclosed. Right limb is fully recovered! Tested NEGATIVE for Heartworm and Giardia.